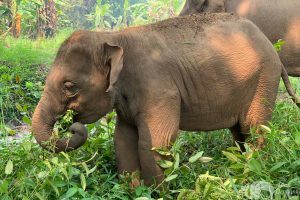 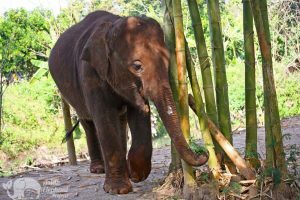 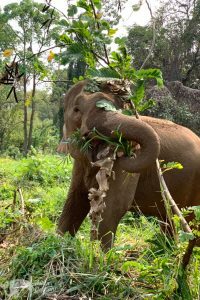 This project was created in collaboration with a Thai village headman in Mae Taeng to provide a home for elephants rescued from elephant riding and performing in shows. 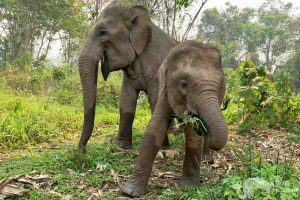 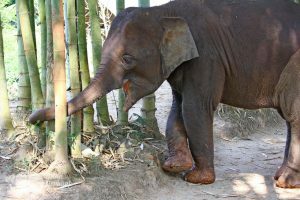 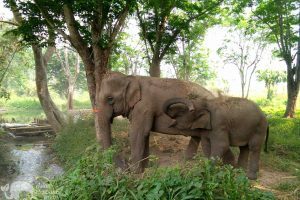 Visitors to this project will spend time with a young female elephant and an older female elephant in natural surroundings. Activities include preparing food and feeding the elephants, walking with the elephants in the forest, and watching them take a mud bath as well as bathing them in a pond. Your guide will be on hand throughout the day to impart interesting facts about the elephants and answer your questions. 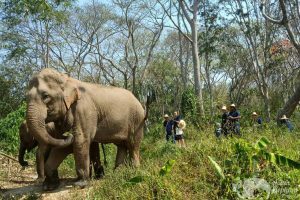 Being part of a small group, you will have the chance to observe the elephants and gain some fascinating insights into elephant behavior. 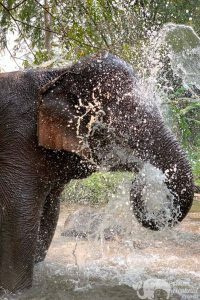 You will also have plenty of opportunities to capture photographs of the elephants interacting throughout the day. Topography: Flatland, farmland, forest & pond. The owner of this project, Dej Son-Ngai, is local to the area and has been around elephants much of his life. 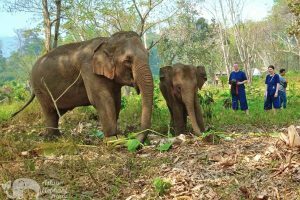 He used to work at elephant camps where he was troubled by the way that the elephants he saw were treated. He wanted to provide a home for elephants where they were well cared for and in November 2017, opened Elephant Heaven. 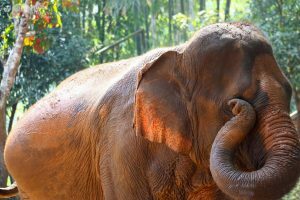 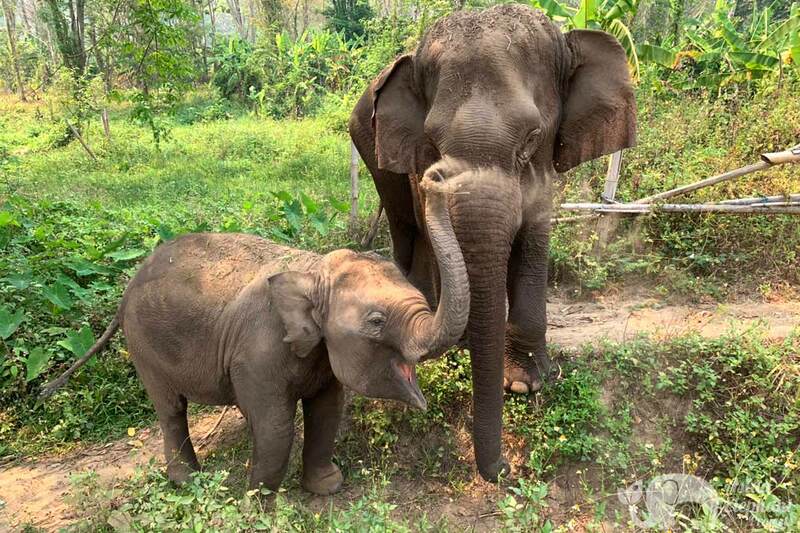 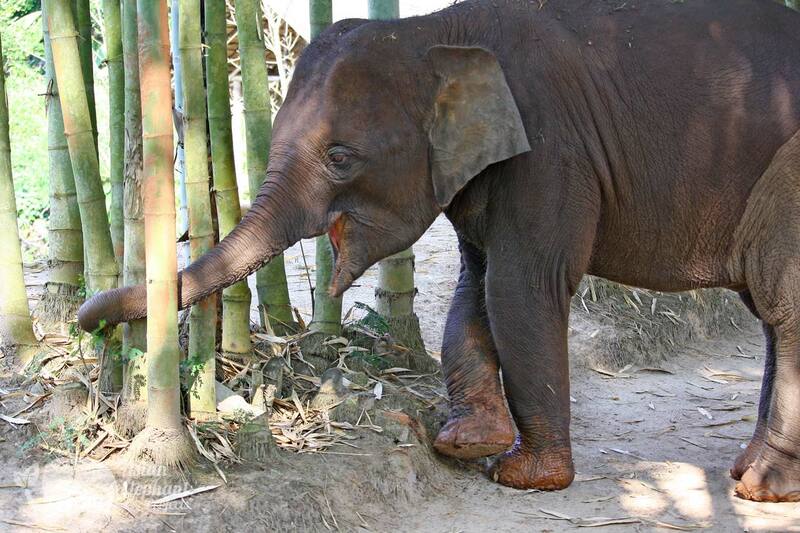 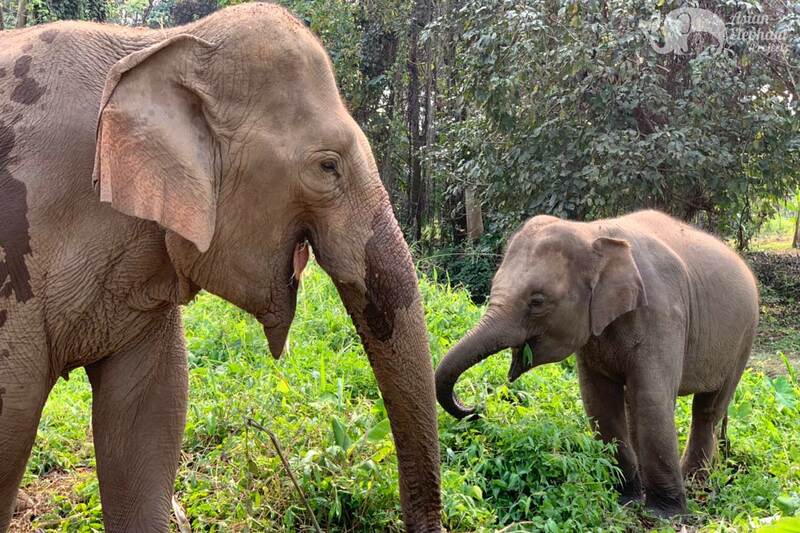 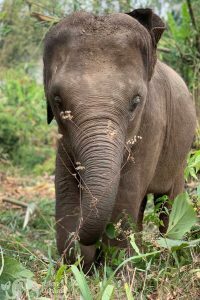 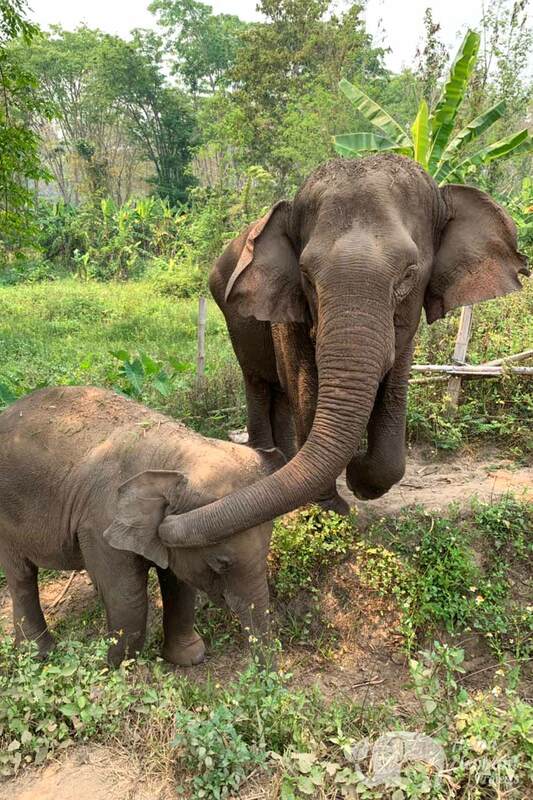 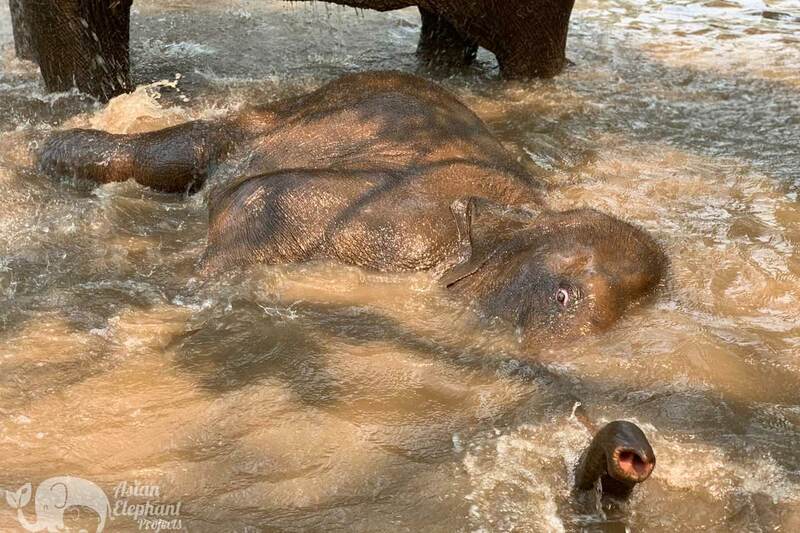 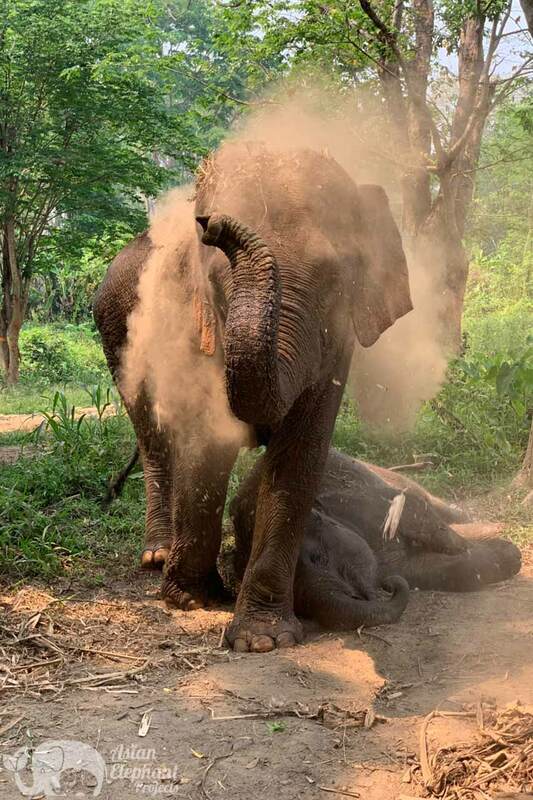 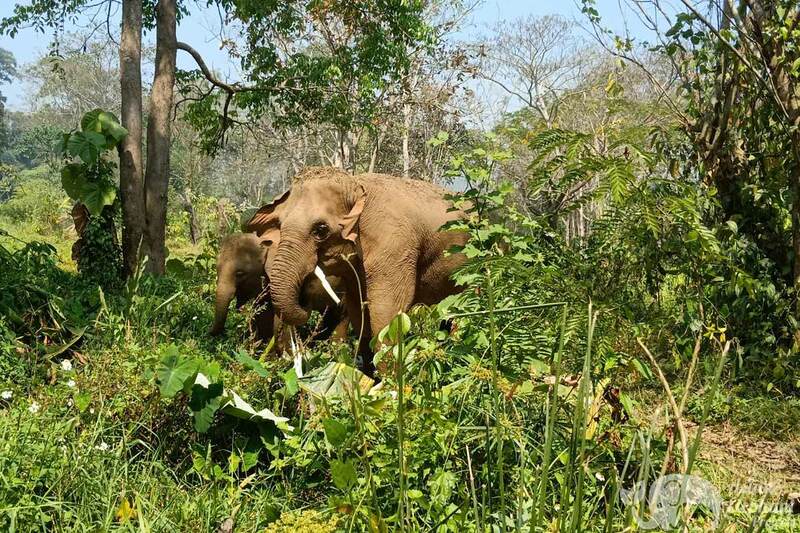 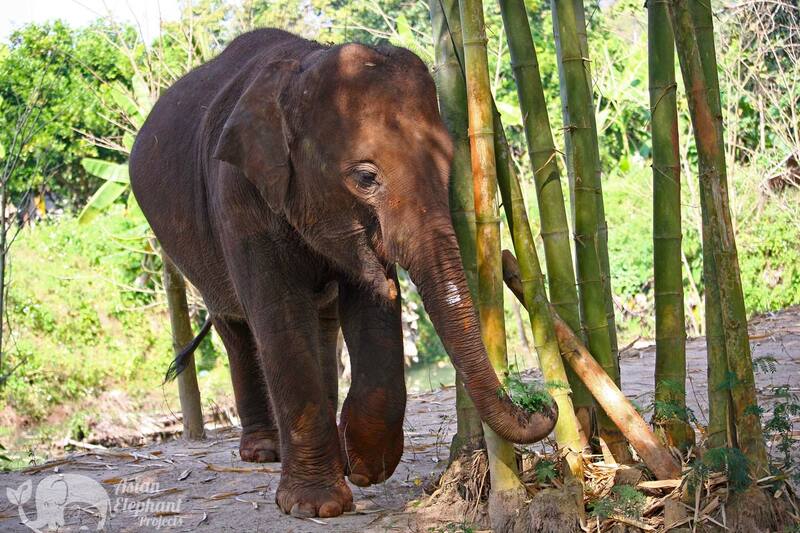 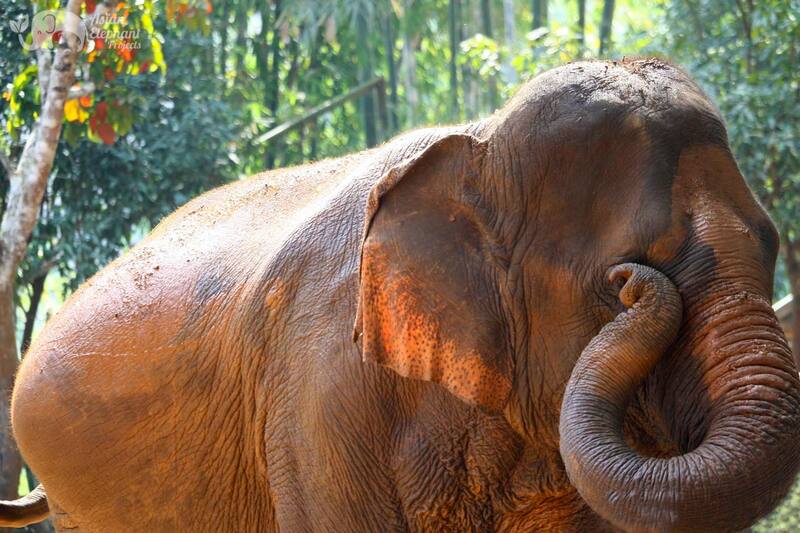 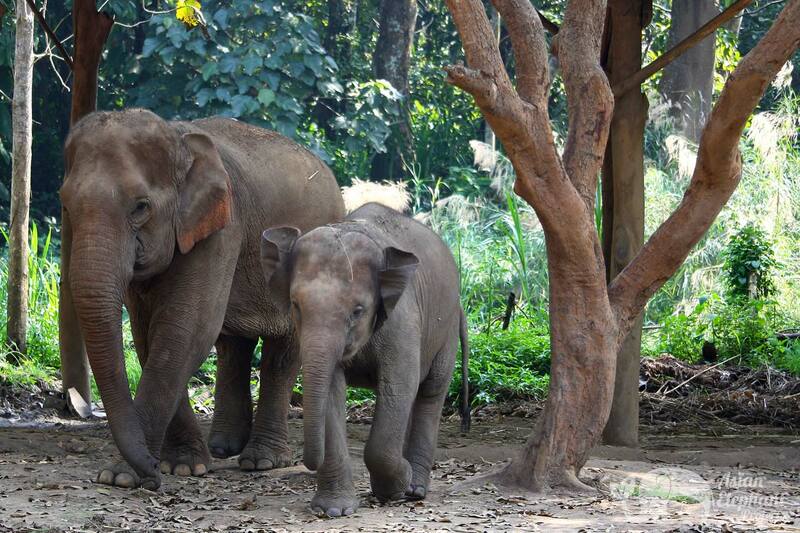 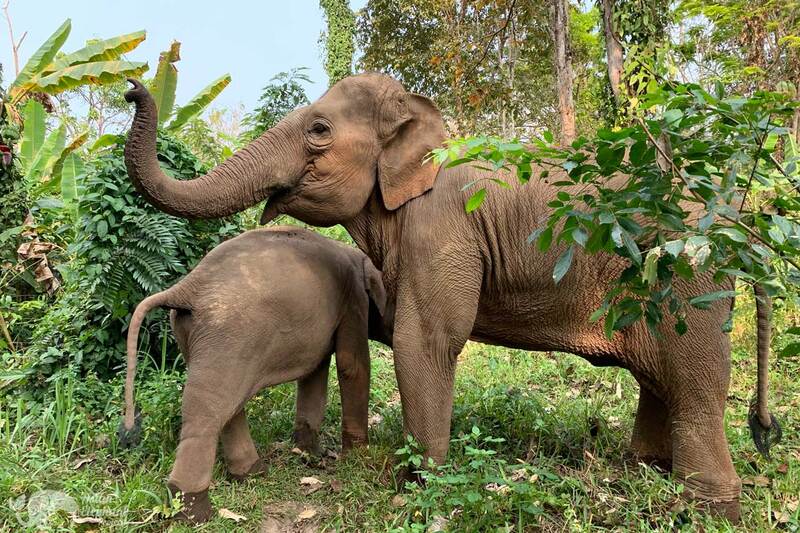 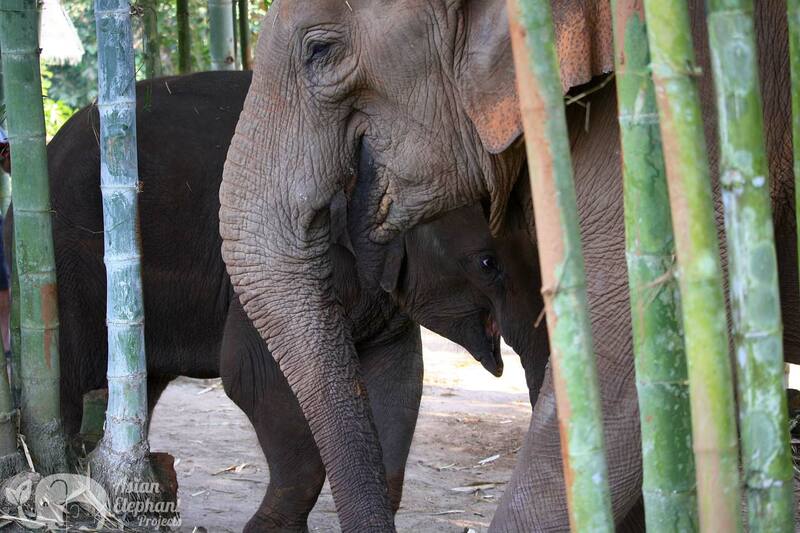 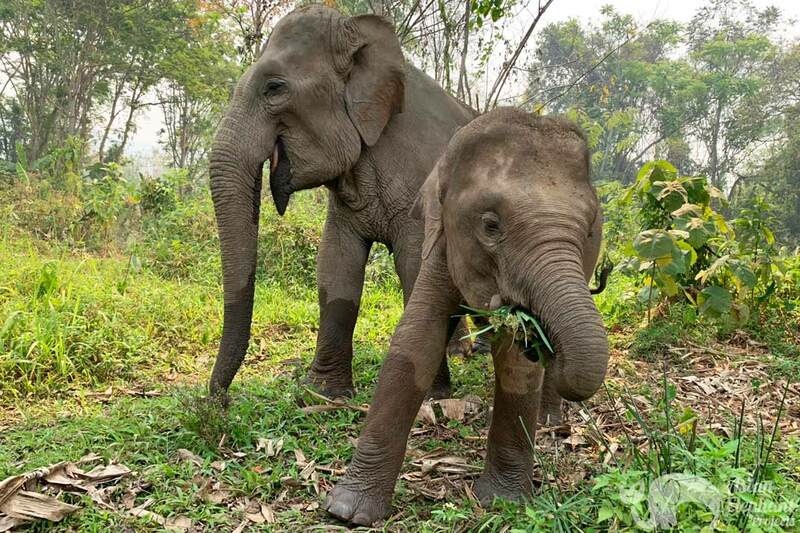 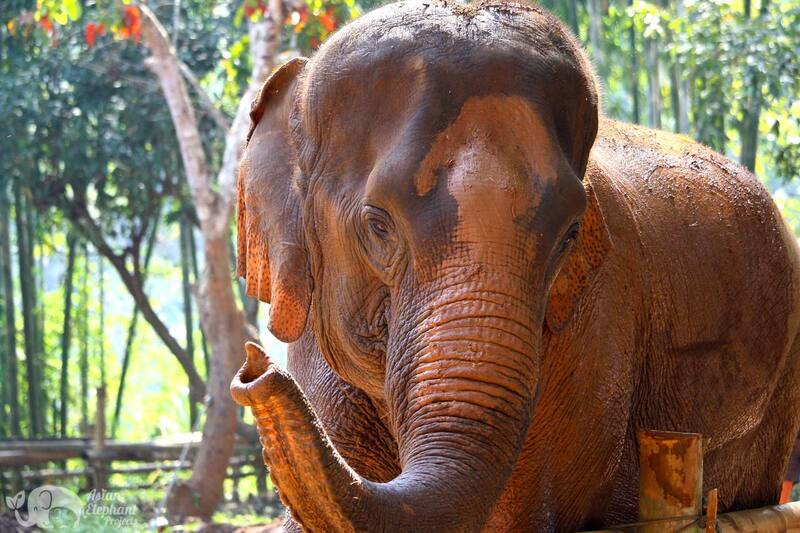 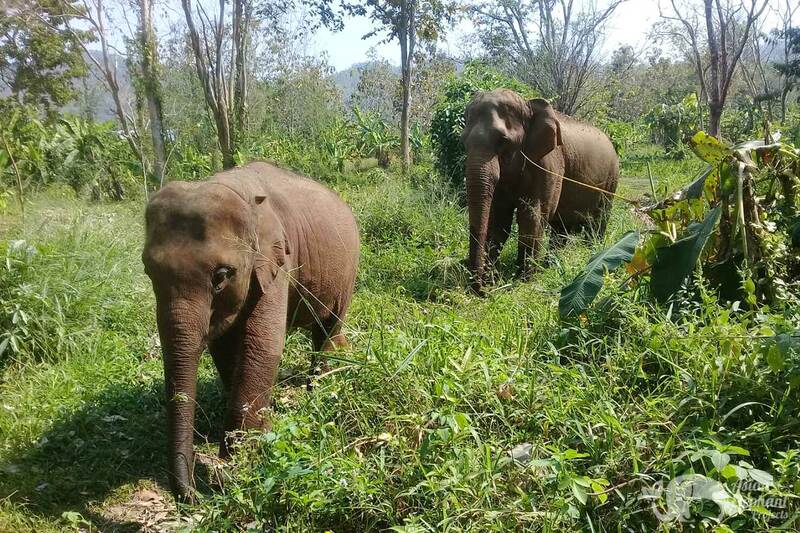 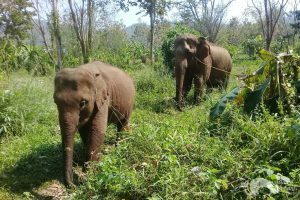 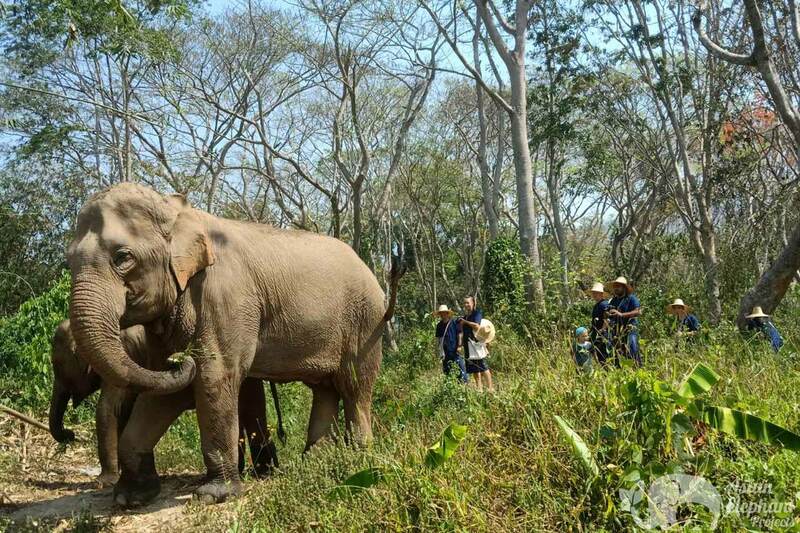 This project is currently home to a young female elephant and her nanny who used to do elephant riding in Kanchanaburi. 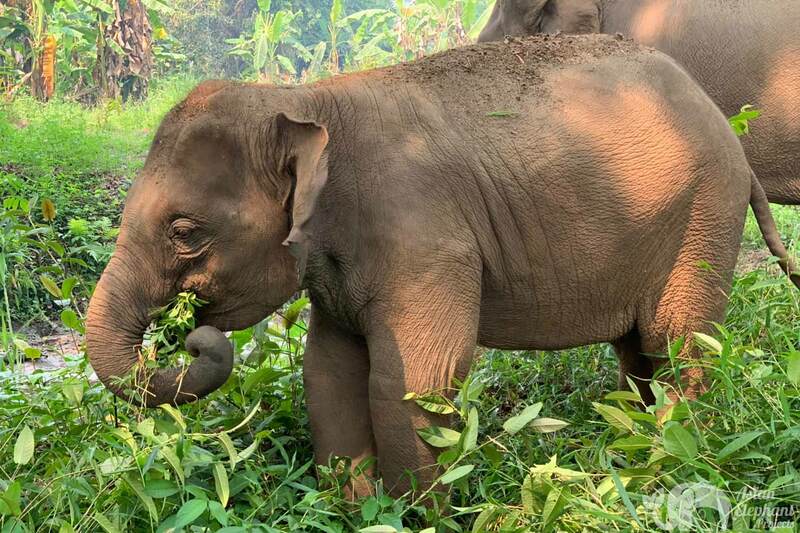 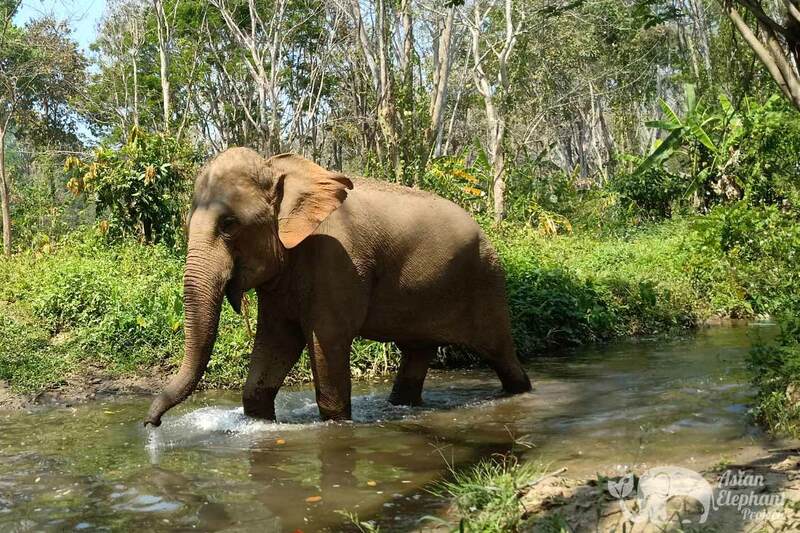 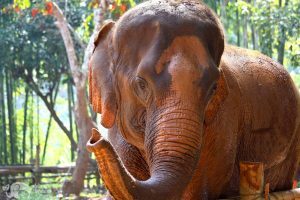 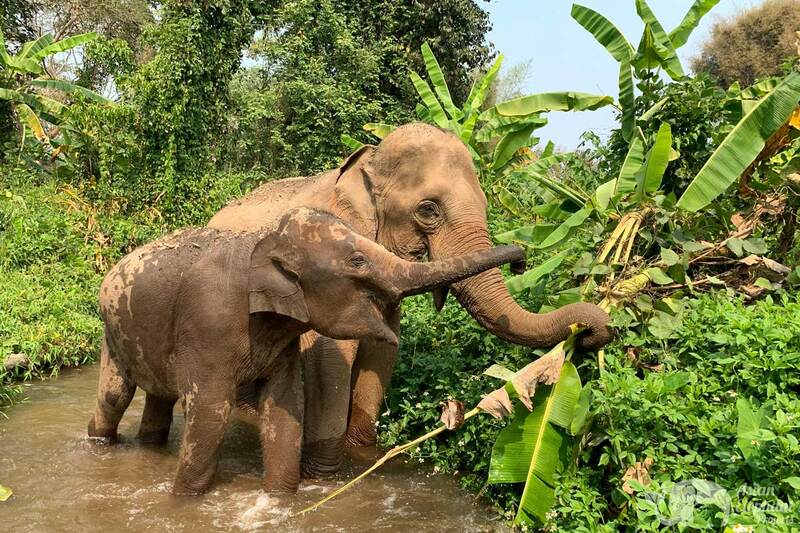 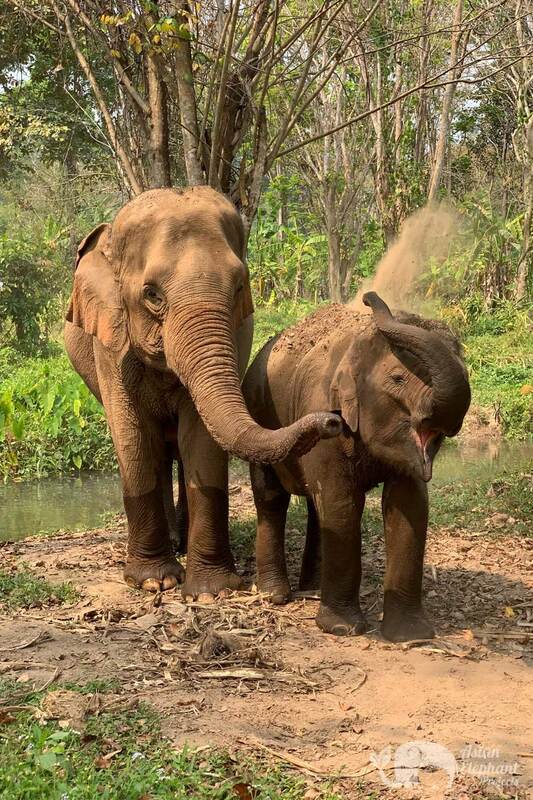 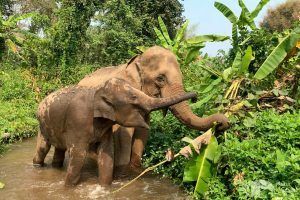 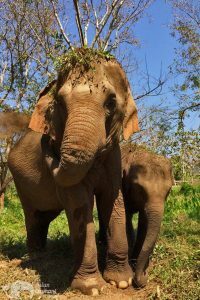 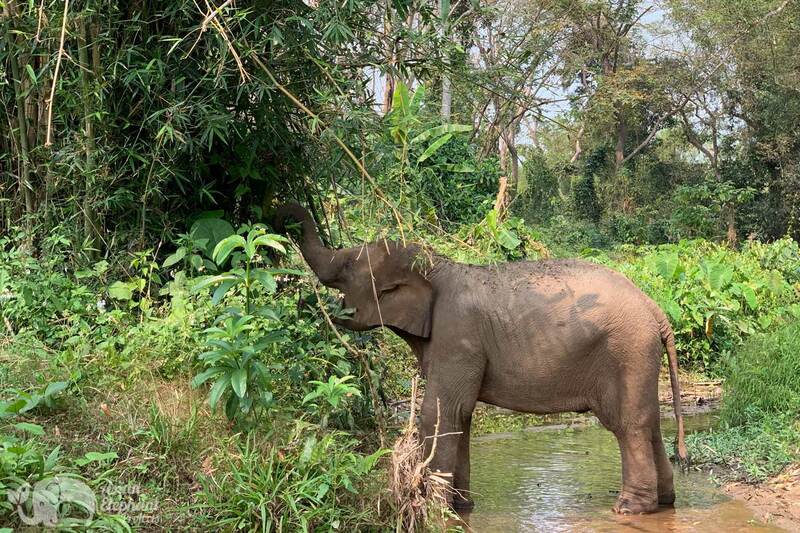 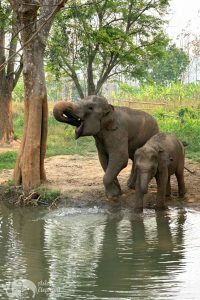 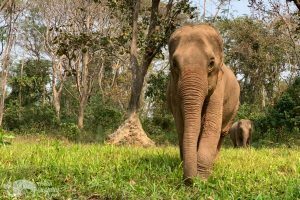 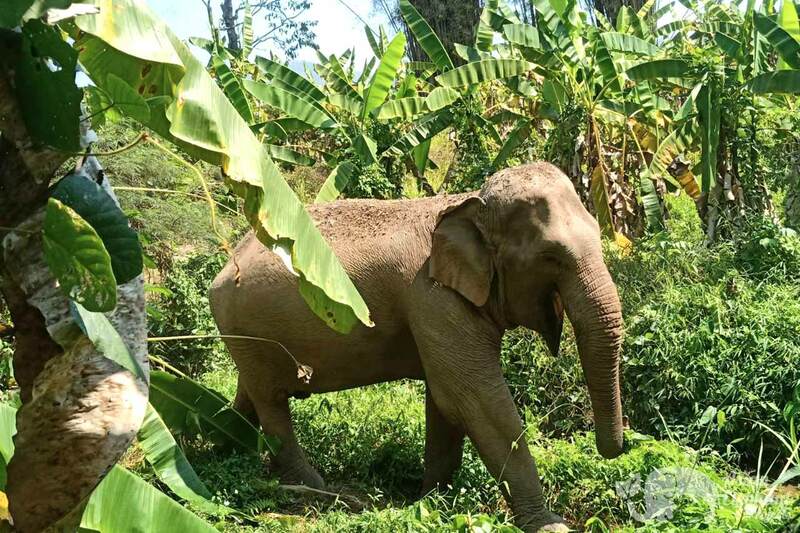 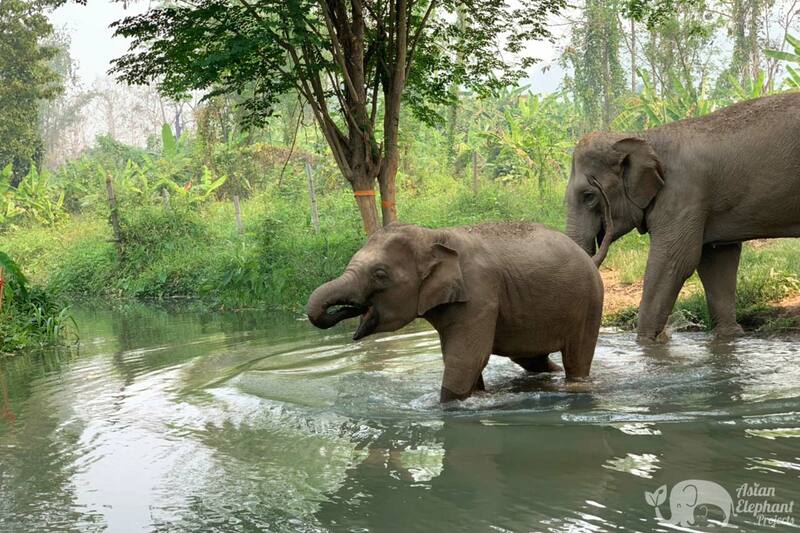 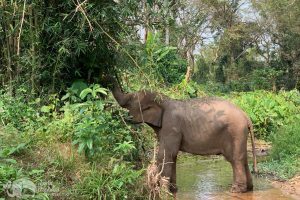 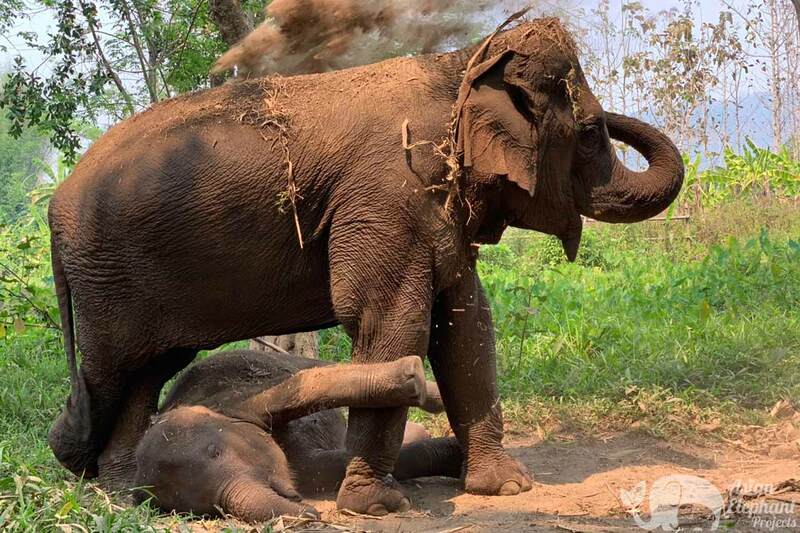 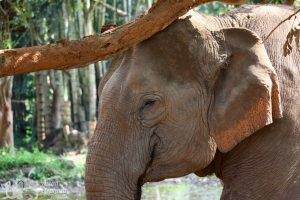 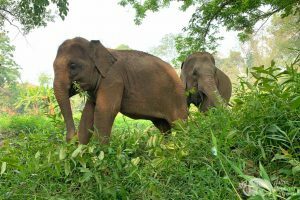 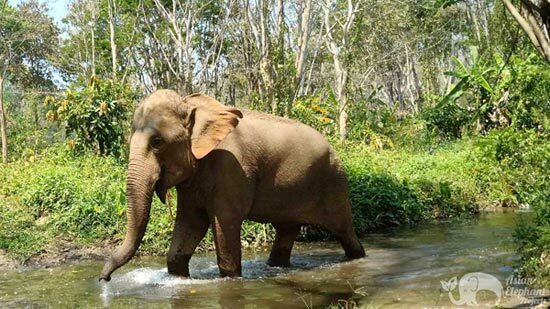 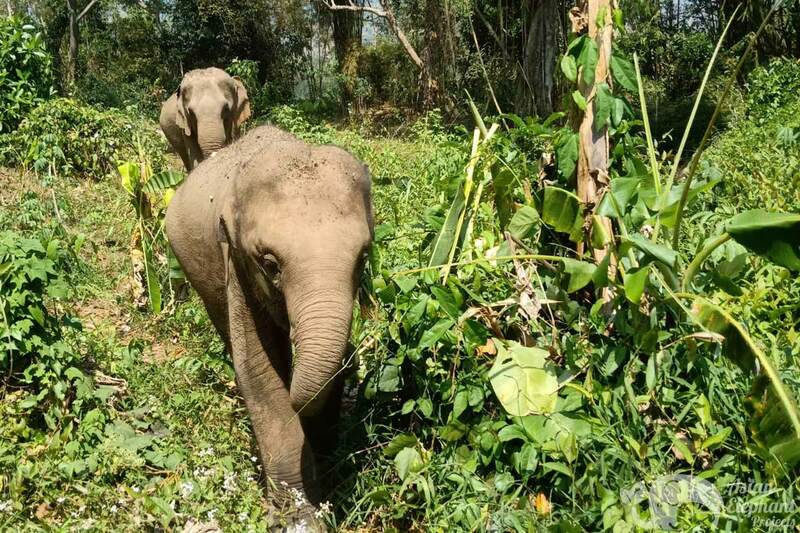 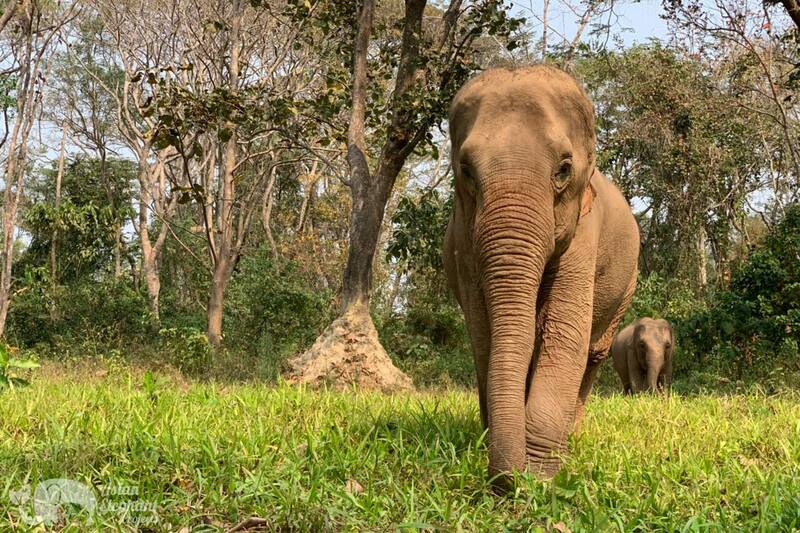 The elephants are now able to live a more natural life, where they can walk together in the forest, foraging on plants and later play in the mud pit and bathe in the pond.